The dawn of very school year brings with it the promise of a new class of incoming freshmen looking to write their story at the high school level. The state of Wisconsin is now exception as a number of talented prospects are taking aim at making their presence felt this year and beyond and up and coming Class of 2022 PG Chevalier Emery is no exception. A 5-11 140 pound plus lead guard, Emery is a gifted blend of instincts and skill that he uses to create positive chaos on the hardwood in a variety of ways. He handles the ball well and he has the ability to break down opposing guards with his dribble to create or score depending on the situation. His vision is equally advanced as he sees the court well and has shown an ability to deliver timely passes in half court sets and in transition for easy scoring opportunities. In terms of finishing the talented guard from Neenah High School can finish around the basket, at the mid-range level with his pull up jumper, or beyond the arc with a perimeter stroke that’s fluid with range. 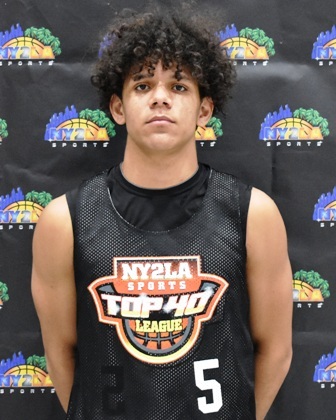 Still developing physically, the young freshman is one of the many promising young freshman who impressed at the recent NY2LA Sports GNBA Top 40 Camp earlier this month. Emery captured Top Floor General honors after a quality day of work and he looks primed to emerge in the 2022 class as one of the premiere up and coming guards in the state as continues to develop and mature both physically and skill wise in the coming years. Emery plays with the Wisconsin Blizzard during the grassroots travel season.